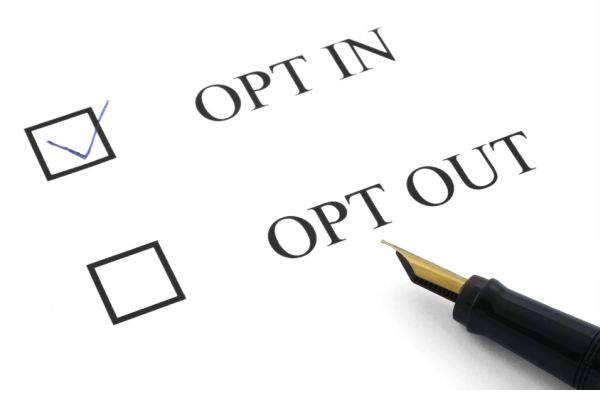 Opting In: Its Not Just Another Test! In my recent “Opt In” posts, I argued that PSSA data is powerful and valuable. And if we “Opt Out” of testing, then we undermine the ability of our schools to see their true level of performance, be accountable, take corrective action, and deliver an even better education to our students. I am sympathetic to the critique that too much time is spent testing students, and therefore we are sacrificing time that could be spent teaching students. Why do we need the PSSAs when we have so many other tests? For example, our elementary students already take several tests during the year, GMADE, GRADE, DIBELS, and teacher-designed quizzes and tests. Aren’t we testing the same thing over and over? Let’s consider what makes PSSAs different than these other exams. PSSA results are comparable to all other PA schools. PSSAs are taken in every school in Pennsylvania. Because testing is compulsory, test results represent a ‘census’ rather than a ‘sampling’, enhancing the validity of the results. And PSSAs are administered under controlled conditions. This ensures excellent comparability across districts and allows us to benchmark UCF performance against other top districts. This provides our true position among all schools, and highlights where we might be falling short vs. other top-performing districts. PSSAs are aligned to Pennsylvania’s educational standards. If we accept that the standards outline the knowledge our students are supposed to have, then tests to measure student learning and school performance must be aligned to those standards. PSSAs are uniquely able to assess student growth – how much students are learning each year. Growth scores have the least bias from socio-economic status and other non-school factors, and do the best job of isolating the contribution of schools to student learning. School-level PVAAS (Pennsylvania value added assessment system) is the single best measurement of how well our schools are performing. Classroom exams and end of year summative assessments are usually unique to the classroom and the teacher, so the results are not comparable across classrooms, schools, or districts. They are administered in ‘uncontrolled’ conditions and lack statistical testing to ensure validity, reliability, and fairness. District-wide summative assessments like GMADE and GRADE are normed and validated. However these exams are not utilized consistently across the state, and therefore do not enable us to compare our performance against all other districts. They are also not specifically aligned to Pennsylvania standards. SATs and ACTs are not aligned to Pennsylvania standards nor to our UCFSD curriculum. Nor are those exams designed to assess elementary or middle school students. Where is the Diagnostic Value? It is true that PSSAs lack diagnostic value, especially at the student level. But I think this is a misplaced criticism. To understand why, we first need to appreciate that different assessments have different purposes: summative, formative, and diagnostic. In the same way that a carpenter cannot complete a project using only a hammer, our teachers and schools must combine different assessments to achieve their educational objectives. Diagnostic tests are administered prior to instruction, in order to identify the unique needs of individual students. For example, a DIBELS assessment may identify a particular student who needs extra help with phonemic awareness. The teacher can then make sure the right resources and attention are applied to the student’s unique needs. Formative assessments are used to modify and validate instruction while teaching is in progress. For example, a quiz may reveal that instruction on a certain topic was incomplete and needs additional classroom time before the unit is closed. Or that a student did not yet master material that will be built-on in the next instructional unit. Summative tests assess learning at the end of a unit or school year. The goal is to assess student competency after instruction (chapter, unit, course, or school year) is complete. Teachers utilize all three types of assessments, at different times, and for different purposes. At the end of the school year, it is unlikely that a teacher will give a classroom-wide diagnostic test, as there is limited opportunity to act on the diagnostic result. Likewise, it would not make sense to give a summative assessment on Algebra I on the first day of school — the students have not yet been exposed to the material! So it is true: the PSSA is not diagnostic. It is a summative exam to assess mastery once instruction has been completed. In this respect, it is just like the AP History Exam or the SAT or a mid-term exam. The long elapsed time is partly explained by the scoring process. Enrollment at PA schools is about 1.7M students, so there are many exams to grade! While most sections are computer-scored, there are sections which must be human scored (example: writing). That is a lot of essays to read and score. If the purpose of the exam were diagnostic, then timeliness would be critical. However as a summative assessment of school progress, timeliness is not of the utmost importance. Nevertheless, I think districts and the public would benefit from quicker access to results. The sooner data is available, the sooner administrations can make adjustments , and the sooner teachers can examine their own classroom results and think about ways to improve their own classroom for the coming year. There are many tests in school. Teachers need diagnostic assessments before they start teaching students. Schools need achievement and placement tests to ensure students are placed in the right classrooms (example: math level in elementary school). 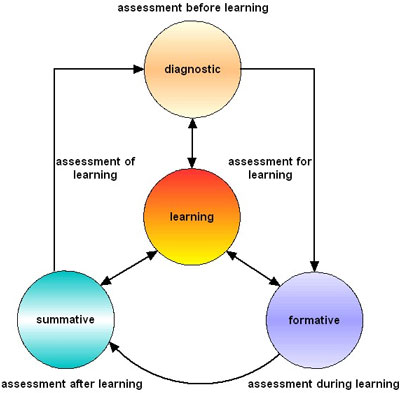 Teachers need formative and summative assessments in their classrooms throughout the year. And school systems need tests to assess student growth and achievement. If we want to accurately assess student growth and achievement, we must use a criterion-referenced and valid instrument, administered to all students in Pennsylvania, under controlled conditions. And the assessment must be linked to what we’re teaching … the PA standards. This perfectly describes the PSSA. While it would be nice to have fewer tests, the accountability and information that comes from PSSAs is indispensable. We should continue to challenge our school leaders to ensure all tests have a purpose, and if we can reduce redundant assessments we should. But the PSSA is an essential tool for managing school- and district-level performance. And therefore our parents should gladly “Opt In” to the PSSA exams. This entry was posted in Standards and Testing on September 14, 2015 by Bob Sage. What do teachers think about our pay system? Follow the Blog and receive links to new posts by email. Be the first to know!